French heavyweight Johann Duhaupas (32-2) has pulled out of the scheduled fight for the vacant EU title October 10 in Barcelona against Hungarian Zsolt Bogdan (10-0) and thus miss out on a 5000 Euro payday. It´s however reported “everywhere” that Johann got a bigger fish in sight for a few dollars more. Jokes aside, Duhaupas might next fight Deeontay Wilder for the WBC title. As for Bogdan he will fight the highest available challenger. SES promotes a show at the “AbenteuerReich” (AdventureKingdom) Belantis close to Leipzig. 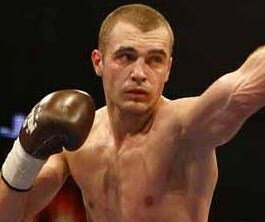 Headlining is lightheavy Dominic Boesel (19-0) in a defence of the WBO I/C title against an opponent to be announced. In the co-feature Felix Lamm (10-1) will defend the German (BDB version) welterweight title against Philipp Schuster (22-2-1). The main fights are televised live by MDR as part of their “Boxen im Osten” program. Heavyweights Werner Kreiskott (21-19-2) and Zoltan Csala (9-3-0) go at it September 19 in Velbert ( Germany) with the interim version of the WBU (german version) title at stake on a show promoted by Kreiskott. As for the real WBU champ, Mark De Mori, he will go for the WBC EurAsia Crown sometime in October. Finnish supermiddle Niklas Rasanen (10-0) headlines at home in Kotka October 3 in a scheduled ten rounder against an opponent to be announced. In the co-feature Pauli Klemetti (4-0) and Timo Laine (10-5) clash for the vacant Finnish middleweight title. Ilias Archegui (5-0-1) take on Henri Kekalainen (7-1) with the vacant WBC Youth middleweight title at stake September 26 in Rebecq (Belgium) September 26). In the co-feature cruiser Ryad Merhy (16-0) square off against Hungarian Tamas Lodi (16-5-2). vacant Spanish superfeather title. Rodriguez didn´t come out for the seventh beaten and cut. Sempewo was down in the third and was retired in the fourth. 60-53 twice and 59-54. Pilipenko was down in the third. 39-36 twice and 39-37. Oleynik was down in the second.